Buy online 5V 2.0A Raspberry Pi Adapter in India at low price from DNA Technology. This is a high Quality 5 Volt, 2.0 Ampere Micro USB Power Charger Adapter for Raspberry Pi 3 / 2 Model B. 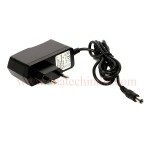 12 Volt 1 Ampere AC to DC AdaptorThis is a high quality SMPS based 12 Volt DC Adaptor. 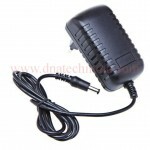 It can be use..
12 Volt 2 Ampere AC to DC AdaptorThis is a high quality SMPS based 12 Volt DC Adaptor. It can be use..